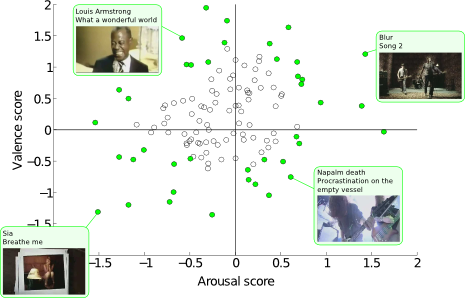 We present a multimodal dataset for the analysis of human affective states. 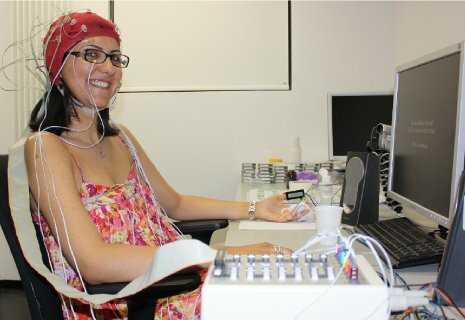 The electroencephalogram (EEG) and peripheral physiological signals of 32 participants were recorded as each watched 40 one-minute long excerpts of music videos. Participants rated each video in terms of the levels of arousal, valence, like/dislike, dominance and familiarity. 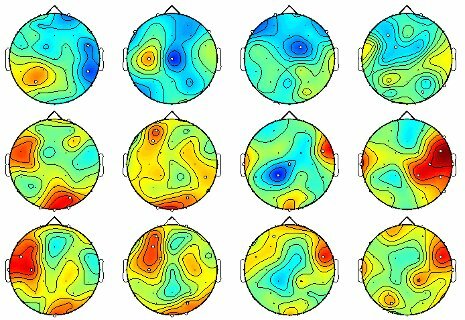 For 22 of the 32 participants, frontal face video was also recorded. A novel method for stimuli selection was used, utilising retrieval by affective tags from the last.fm website, video highlight detection and an online assessment tool. If you are interested in using this dataset, you will have to print, sign and scan an EULA (End User License Agreement) and return it via email. We will then supply you with a username and password to download the data. Please head on over to the downloads page for more details. Also, please consult the dataset description page for a complete explanation of the dataset. First and foremost we'd like to thank the 32 participants in this study for having the patience and goodwill to let us record their data. The European Community's Seventh Framework Program (FP7/2007-2011) under grant agreement no. 216444 (PetaMedia). The Swiss National Foundation for Scientific Research and the NCCR Interactive Multimodal Information Management (IM2). The authors also thank Sebastian Schmiedeke and Pascal Kelm at the Technische Universität Berlin for performing the shot boundary detection on this dataset.